On Monday 15th January NHS England launched a 30 day public consultation to review Hyperbaric Oxygen Services. NHS England states "It [hyperbaric oxygen therapy] also has some other applications in treating a range of injuries, however there is not conclusive evidence of the efficacy of these applications, and the evidence for these are currently under review through the NHS England policy process." The British Diving Safety Group released the following statement on 17th January 2018. "The proposed NHS cut in hyperbaric treatment for some non-diving conditions has potential knock on effects for rapid and effective DCI treatment for divers. Reducing the treatment for other conditions reduces the need for chambers. In a future scenario, if the NHS closes these chambers, then they would not be available to alternative private operators and private insurance providers (such as DAN) who divers may use to replace the current free NHS emergency service." NHS England conducted a previous consultation on hyperbaric oxygen therapy in April 2016 and published this evidence summary that doesn't feel balanced. 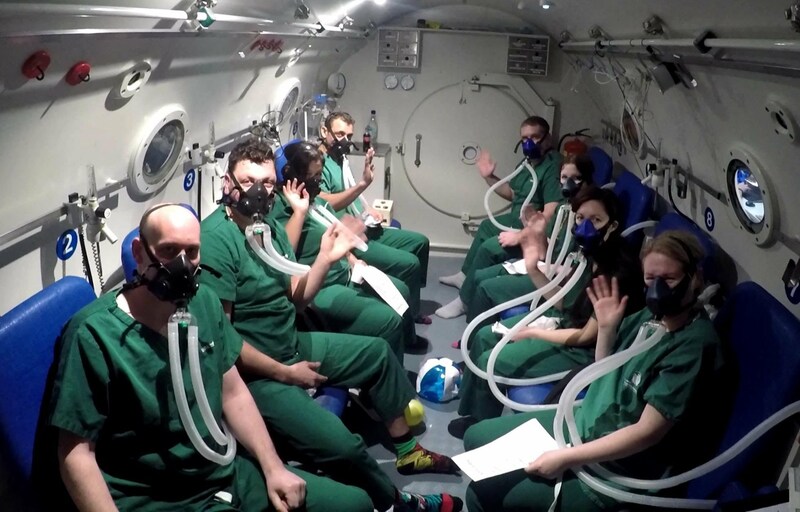 The proposed NHS cut in hyperbaric treatment for some non-diving conditions has a potentially significant knock-on effects for rapid and effective Decompression Illness (DCI) treatment for divers. Therefore please can you take a moment and follow this link and complete the survey. Then ask your staff, colleagues and divers to also respond to this consultation. This public consultation closes on 14th February 2018.